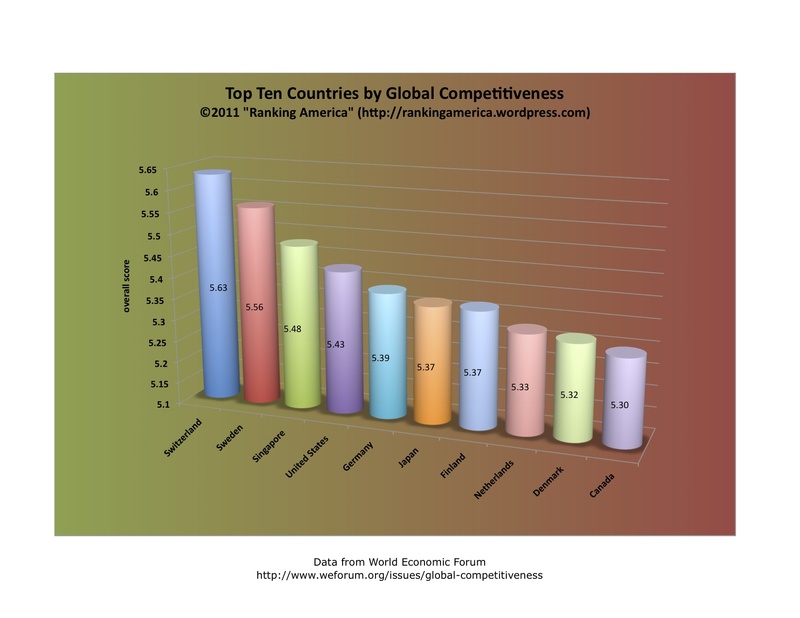 According to the World Economic Forum, in 2011 the United States had a global economic competitiveness score of 5.43, which makes the United States rank fourth in that category. 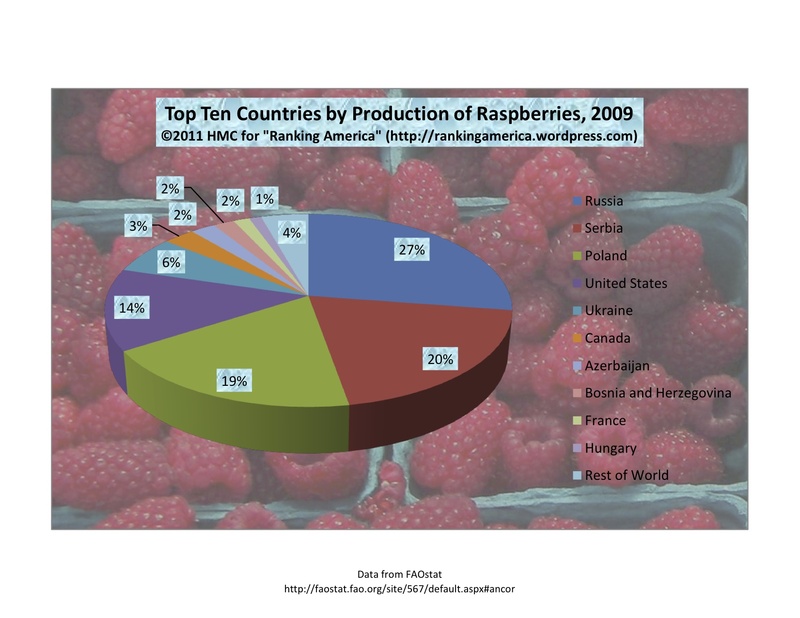 Switzerland ranks first, with a score of 5.63. According to the World Nuclear Association, there are thirty-two nuclear reactors either planned or proposed for construction in the United States, which is enough to make the United States rank fourth in that category. 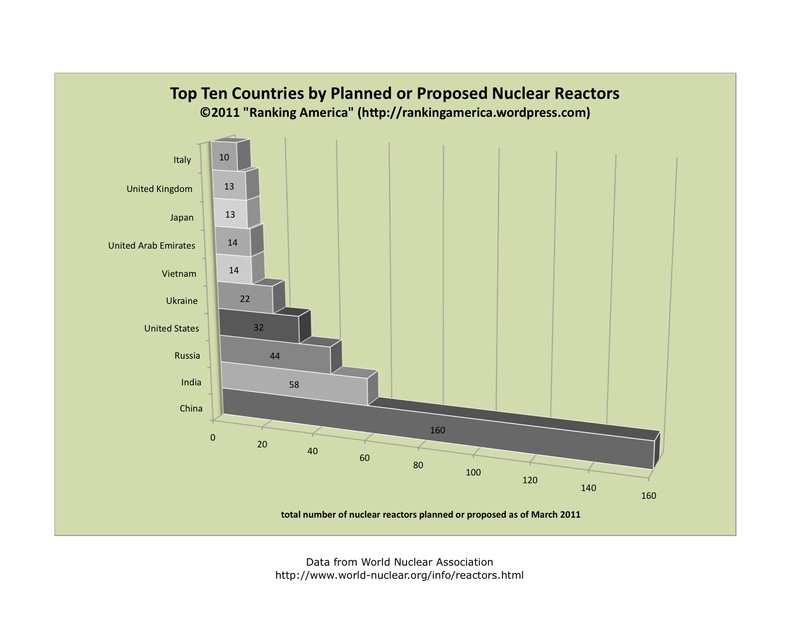 China ranks first, with 160 nuclear reactors either planned or proposed. 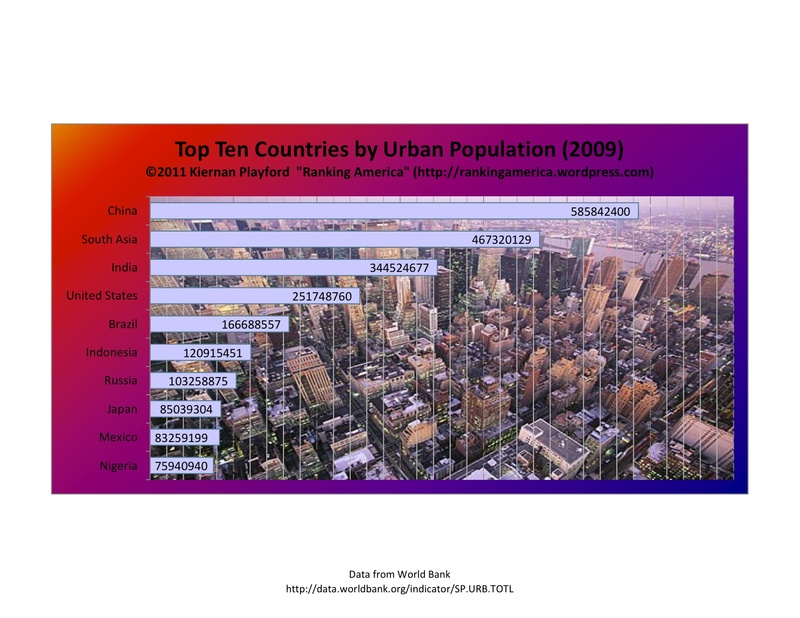 According to the World Bank in 2009, the United States had an urban population of 251,748,760 people. 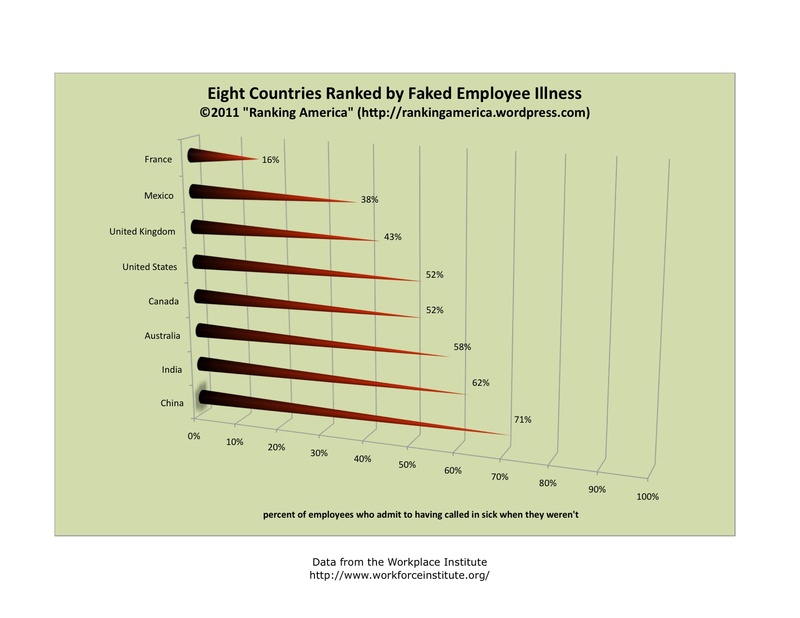 That is enough to make the United States rank fourth in that category. China ranks first with an urban population of 585,842,400. 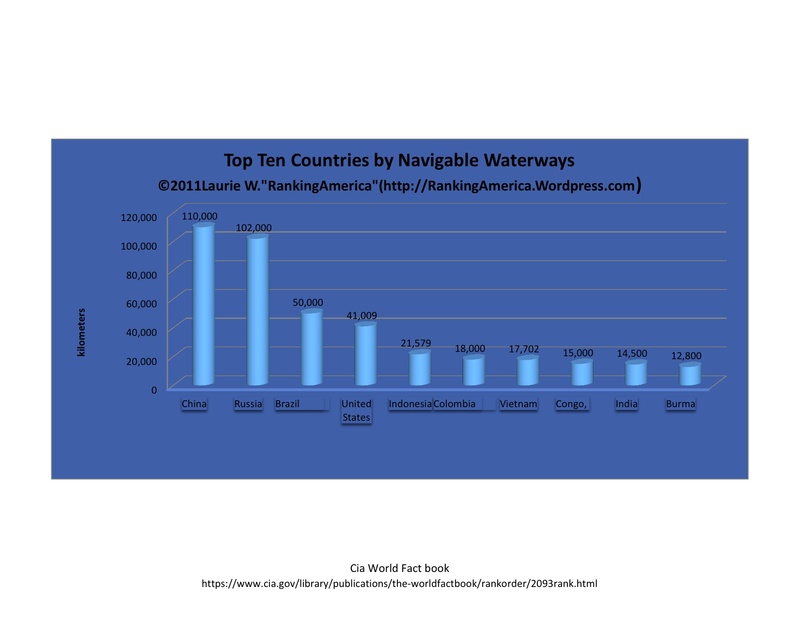 According to the CIA World factbook the United States ranks fourth in ﻿navigable waterways with 41,009 kilometers. 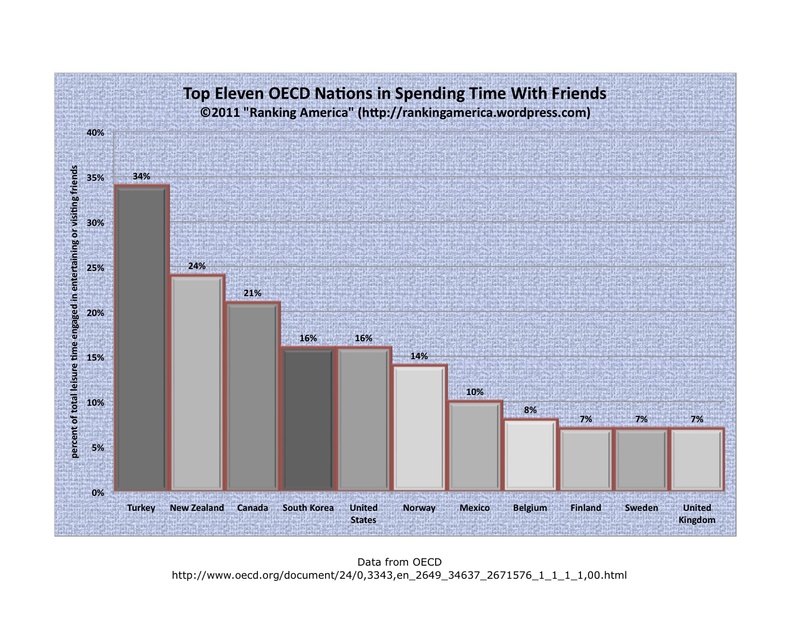 China ranks first with 110,00 kilometers.